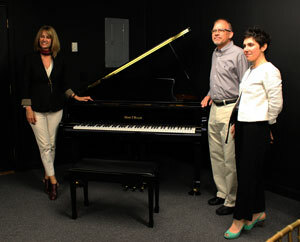 Terry Hammer, Proprietor of ShopLicensePlates, is pleased to announce the donation of a baby grand piano to the St. Louis based Pianos for People, a non-profit organization dedicated to providing both free pianos and lessons to worthy students who may be disadvantaged. Terry also wanted to express his gratitude to City of St. Louis 20th Ward Alderwoman Cara Spencer who was crucial to making this donation a reality. Terry noted that he feels so lucky and fortunate to have Cara Spencer as his Alderwoman. Cara has been so proactive and engaged in making the City of St. Louis a better place to work, live, and play. Please see the related article in the Riverfront Times.